The store distributed 280 wristbands on first come first served basis to meet the rocker brothers and get copies of their album Jonas Brothers signed. The Jonas Brothers wrote on their blog that the wristbands were gone in 30 minutes and a lot of JB fans were left out who waited in the queue for long hours. 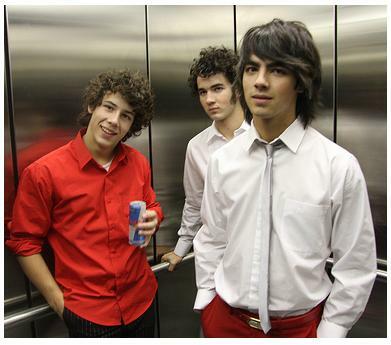 The sibling rockers, Nick, 15, Joe, 18 and Kevin, 20, are currently in Toronto getting set to kick off their Burning Up Tour at Molson Amphitheatre in Toronto, Ontario, on July 4th 2008. The North American tour is aimed at promoting their third studio album, “A Little Bit Longer”, which is set to be released in the United States on August 12, 2008. A Disney Digital 3D production crew will film the shows in Anaheim, CA on July 13 and 14, for a movie that will be released in theaters early next year.